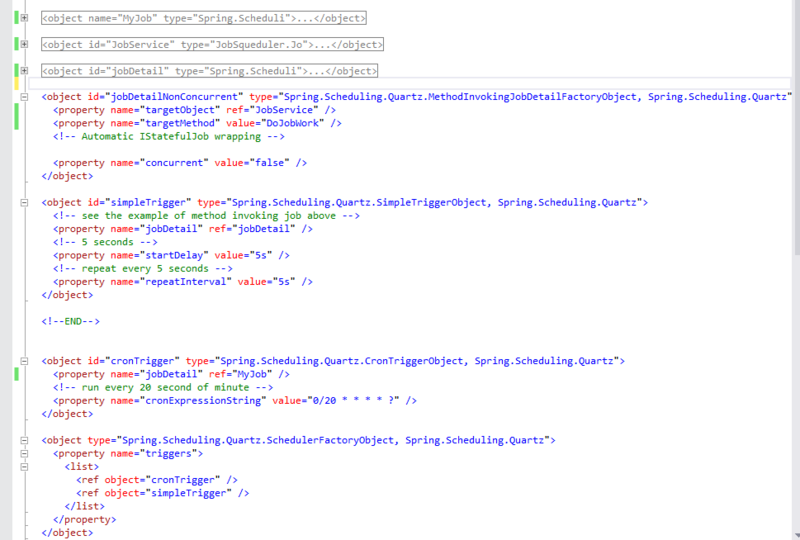 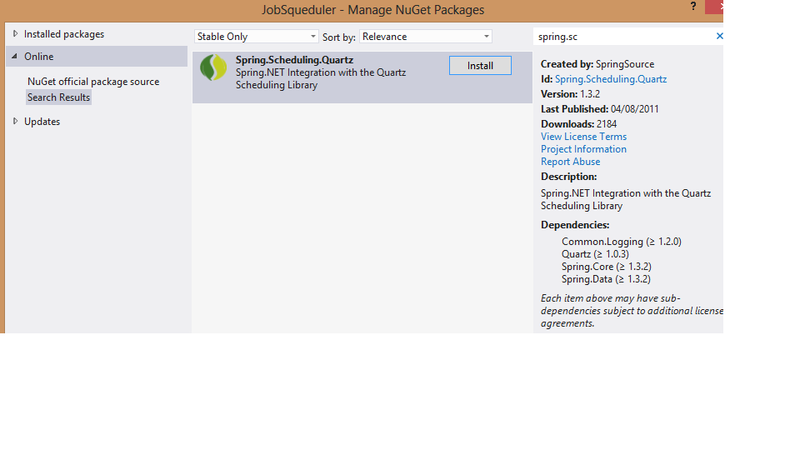 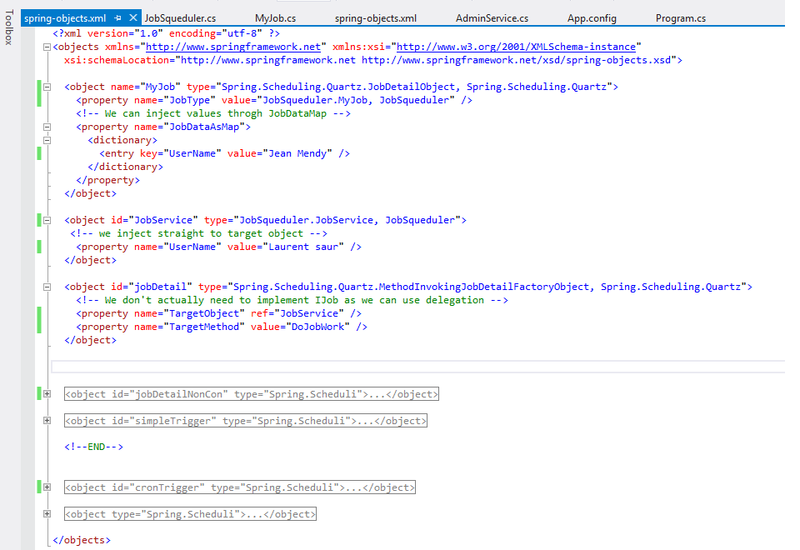 In this tutorial we are going to demonstrate how to scheddule repetitive jobs using spring.net and Quartz. 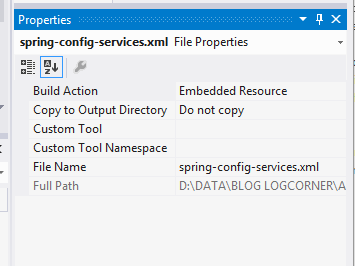 Create a class and name it JobService. 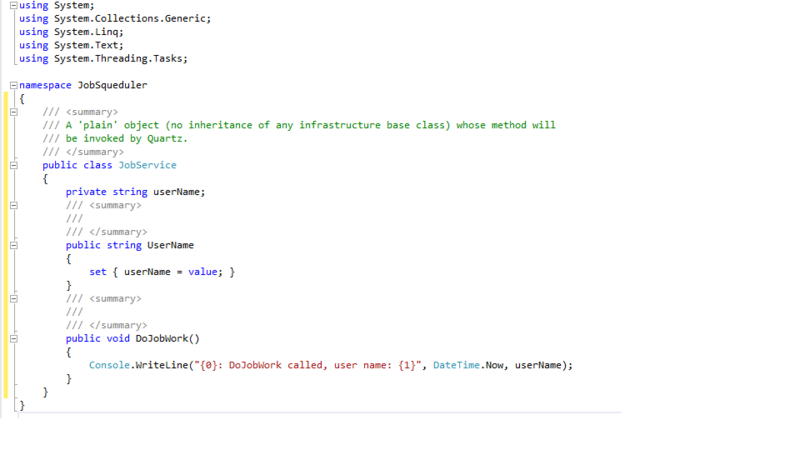 note that its A ‘plain’ object (no inheritance of any infrastructure base class) whose method will be invoked by Quartz. 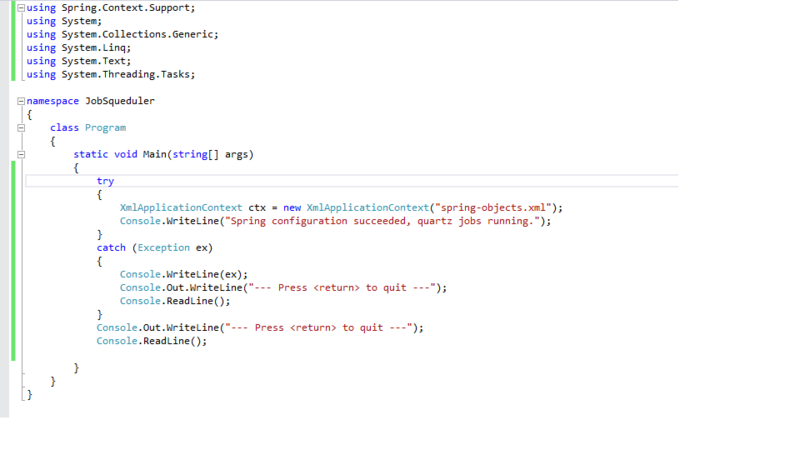 In this tutorial we learn how to do dependency Injection using SPRING.NET, Dependency injection (DI) is a process whereby objects define their dependencies, that is, the other objects they work with, only through constructor arguments and properties that are set on the object instance after it is constructed. 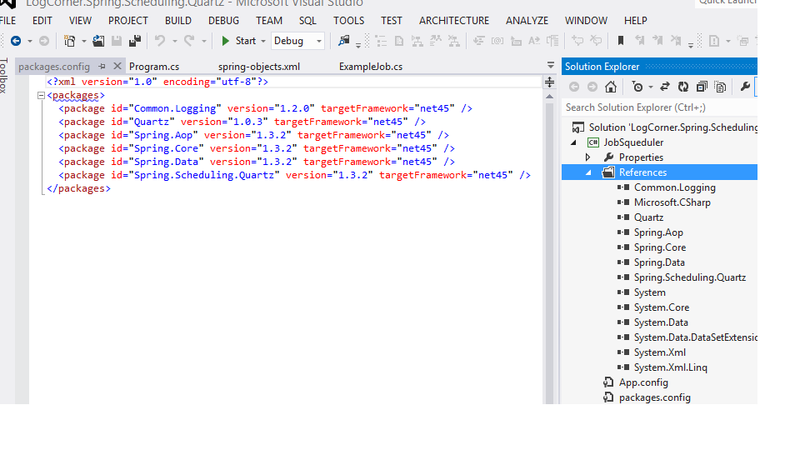 (Factory methods may be considered a special case of providing constructor arguments for the purposes of this description). 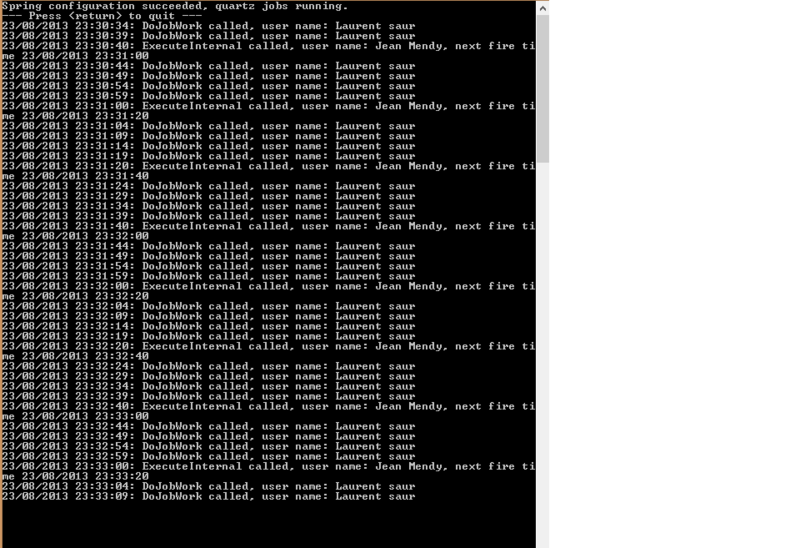 The container injects these dependencies when it creates the object. 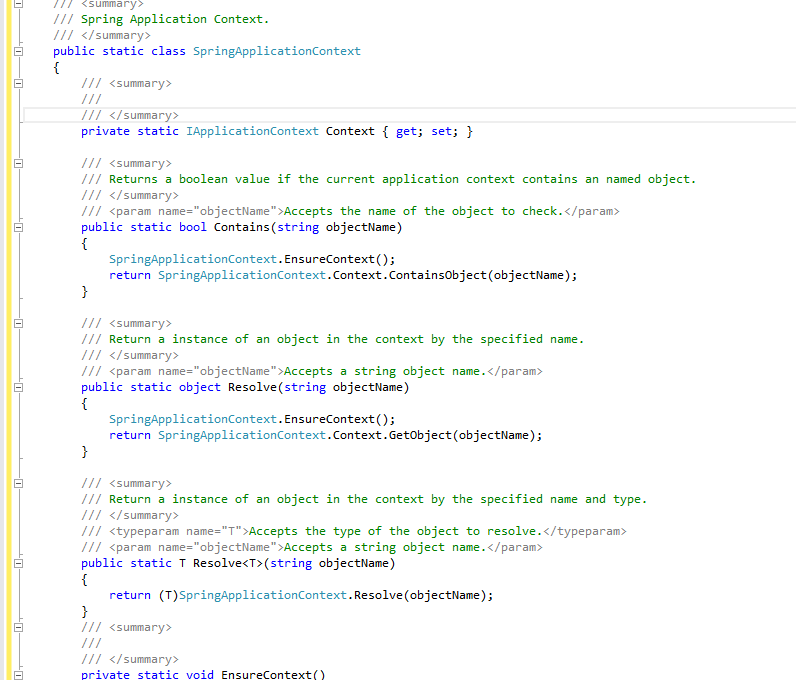 This process is fundamentally the inverse to the case when the object itself is controlling the instantiation or location of its dependencies by using direct construction of classes, or the Service Locator pattern. 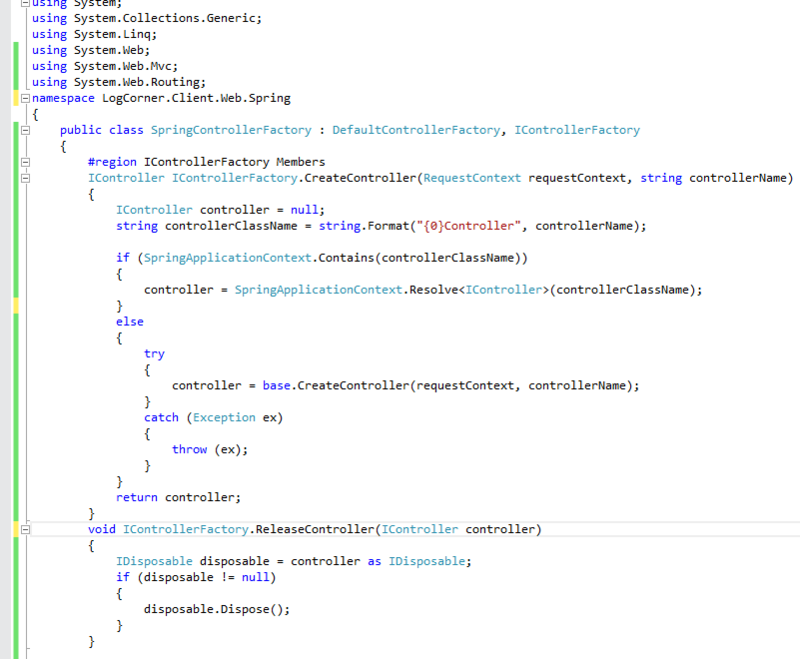 The inverting of this responsibility is why the name Inversion of Control (IoC) is used to describe the container’s actions. 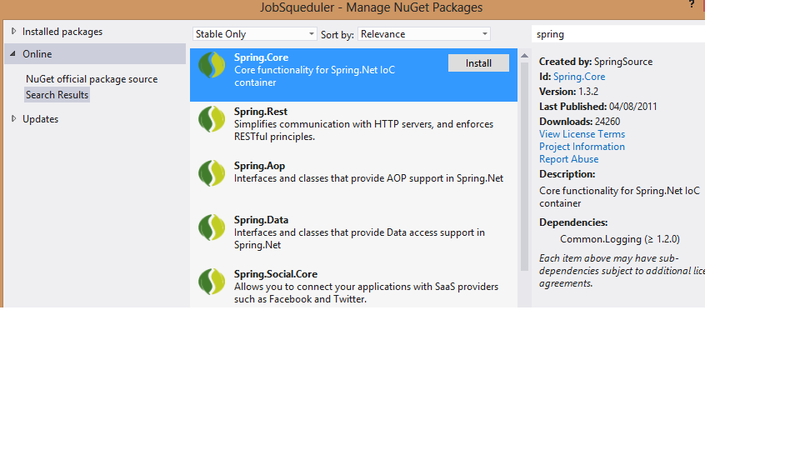 The principles covered in this tutorial will apply to creating ASP.NET MVC Web Site and inject services object in controller using SPRING.NET. 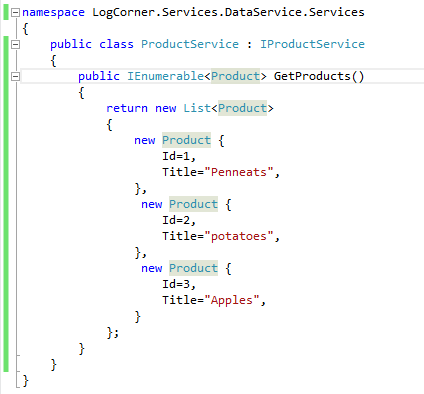 /// Returns a boolean value if the current application context contains an named object. 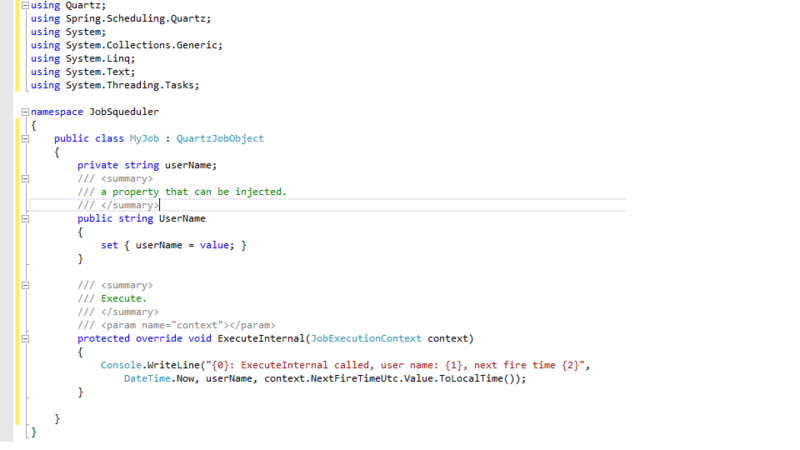 /// Return a instance of an object in the context by the specified name. 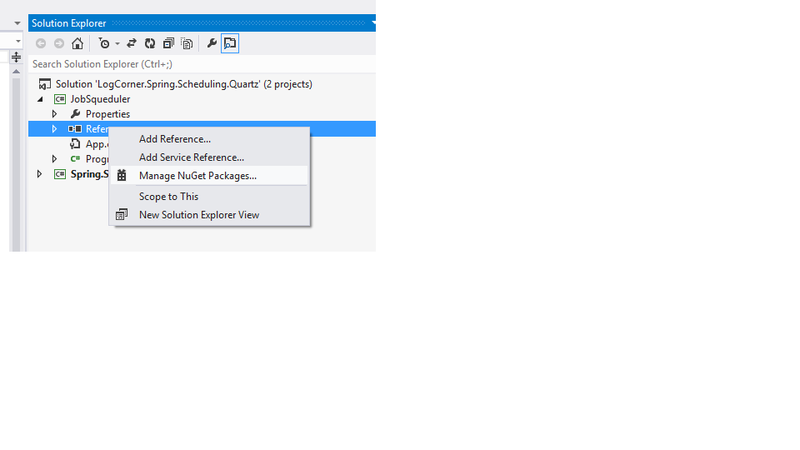 /// Return a instance of an object in the context by the specified name and type.